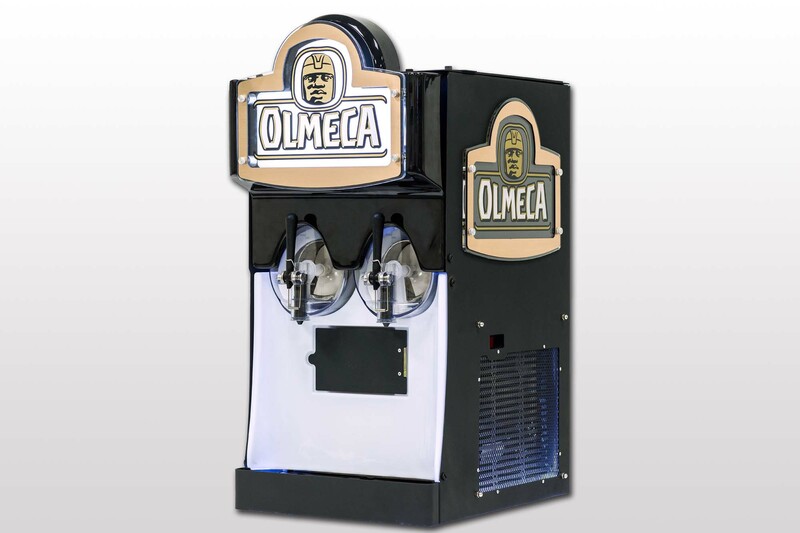 Convert a “Slush Puppy” machine into a bespoke Olmega Branded Frozen Cocktail machine. There is a current trend for Frozen Cocktails. Olmega wanted to create a frozen cocktail experience by mixing Olmega Tequila into a cocktail mixture. 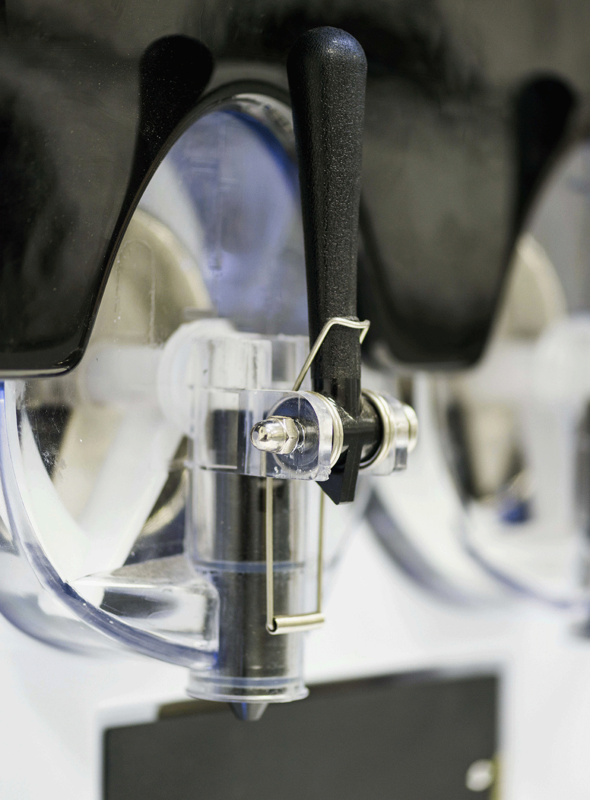 As with the Absolute project, issue was that all standard off-the-shelf slush machines are so generic and out of place in the venues where these cocktails would be served. 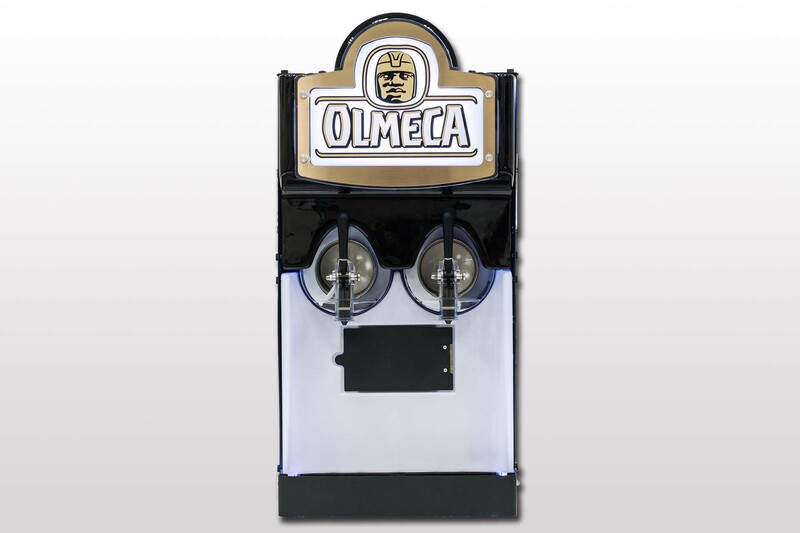 Project Room sourced the most suitable machine and designed a vacform & metal cladding to dress it up to more closely resemble Olmega’s bold and daring CI. These machines have compressors and condensers that generate heat. If this heat is trapped in the machine, it changes the performance and efficiency of the machine. For this reason, a lot of care was taken to ensure that whatever we added to the machine would not affect its performance. 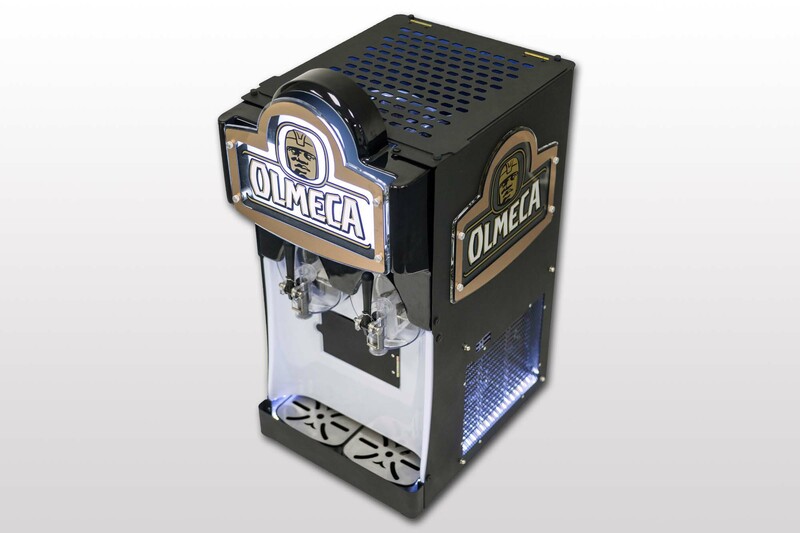 To create a more visual appealing look, we added some LED’s that formed halo’s around the machine. The result is a Bold authentic copper look to represent the brand. The best way to describe the result is exciting, inspirational, quality and refined sophistication.